This blog post covers the butcher block pros and cons. 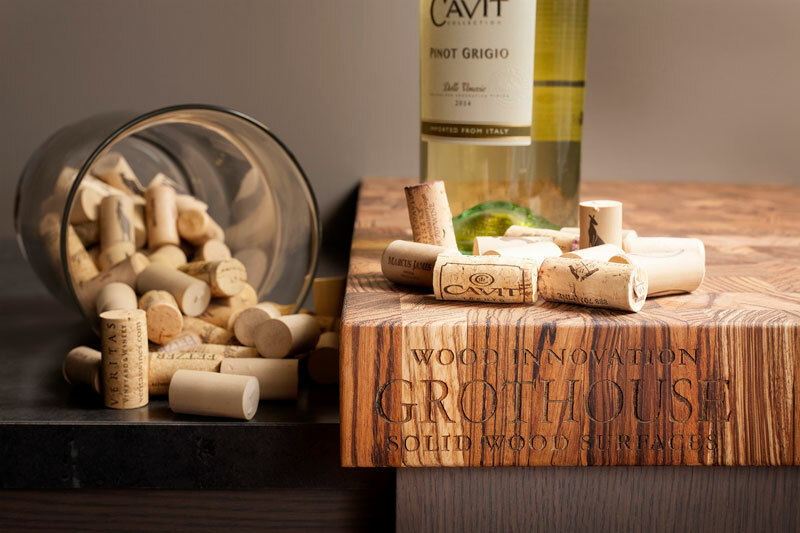 At Grothouse, the term ‘butcher block’ refers to a wood surface crafted in End Grain Construction. 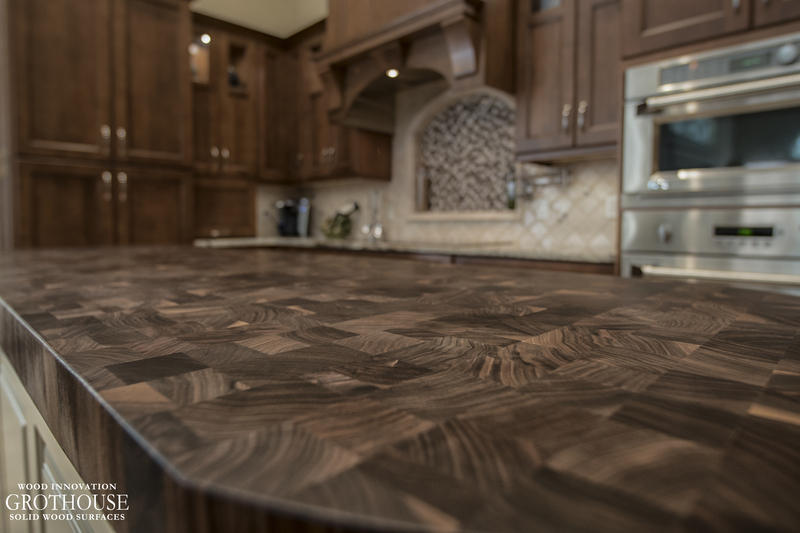 End Grain is the premium construction style recommended for direct food preparation. 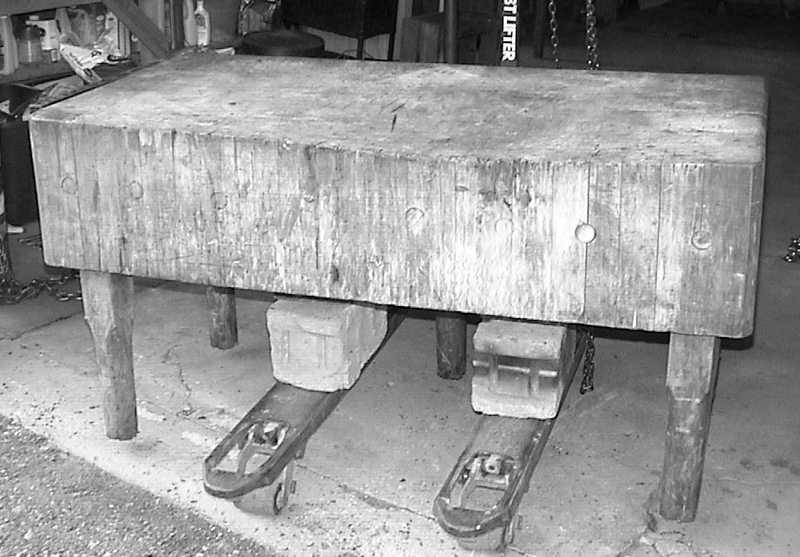 It is the construction style of choice for upscale applications. 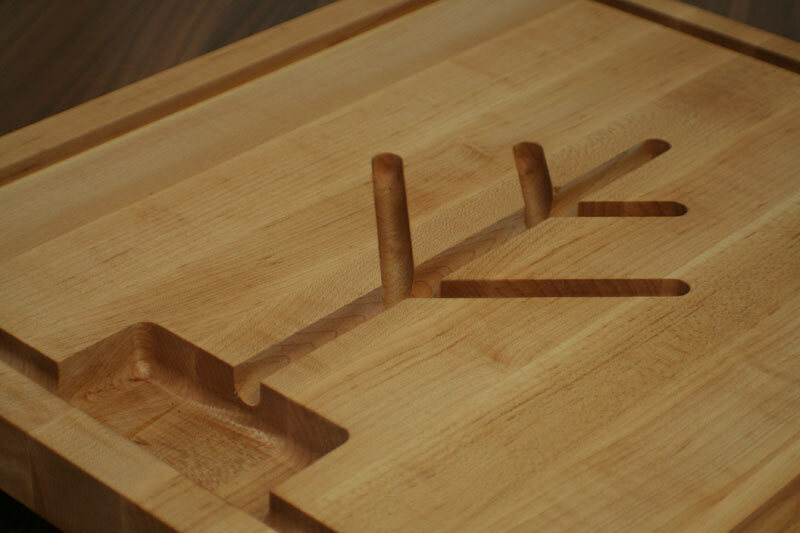 In end grain construction, small wood pieces stand vertically to show only the ends of the wood. 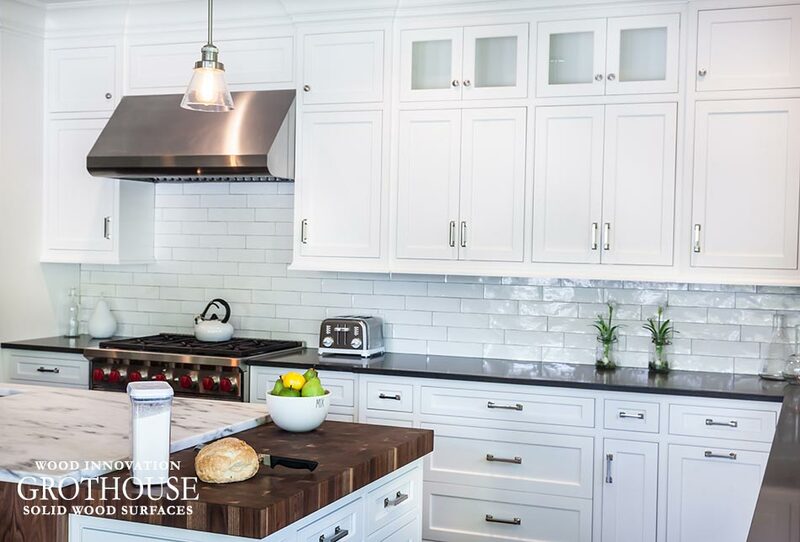 There are far more butcher block pros than cons. 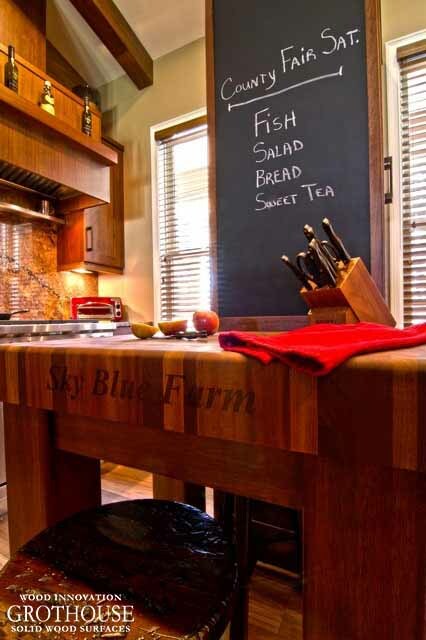 To start off, a butcher block can be used for direct food preparation. 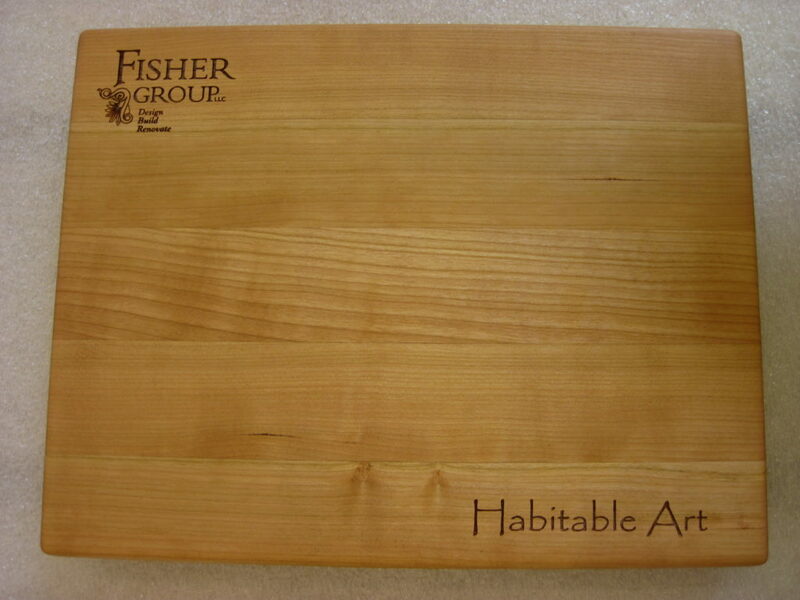 This means you can cut and chop directly on the wood surface. 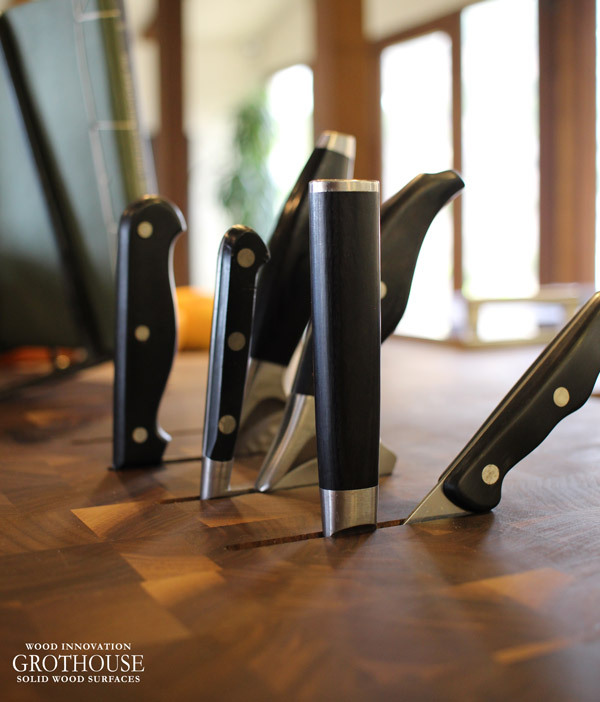 Knives keep their edge far better when used on butcher blocks. This is because the blade slides between the wood fibers, much like cutting into a firm brush. Cutting on hard surfaces like stone or glass can dull sharp blades. 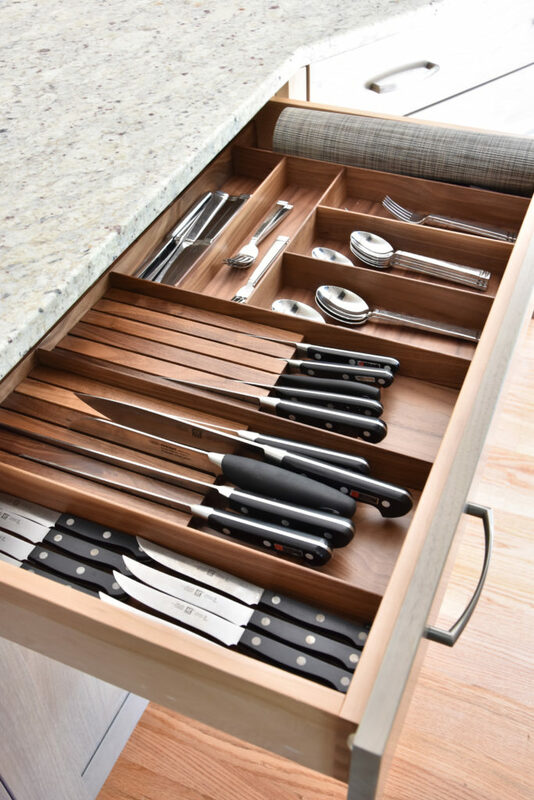 An added benefit is that butcher blocks do not show knife marks quite as readily as surfaces crafted in other construction styles. 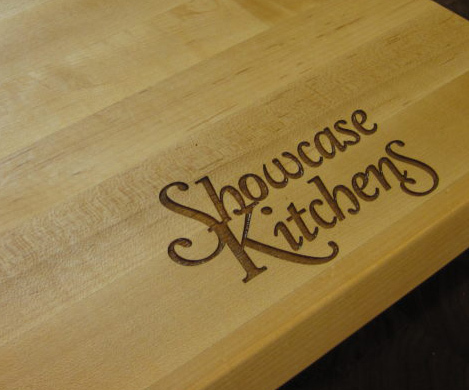 Any light scratches or knife marks made in the butcher block surface can be sanded off and re-oiled to look brand new! 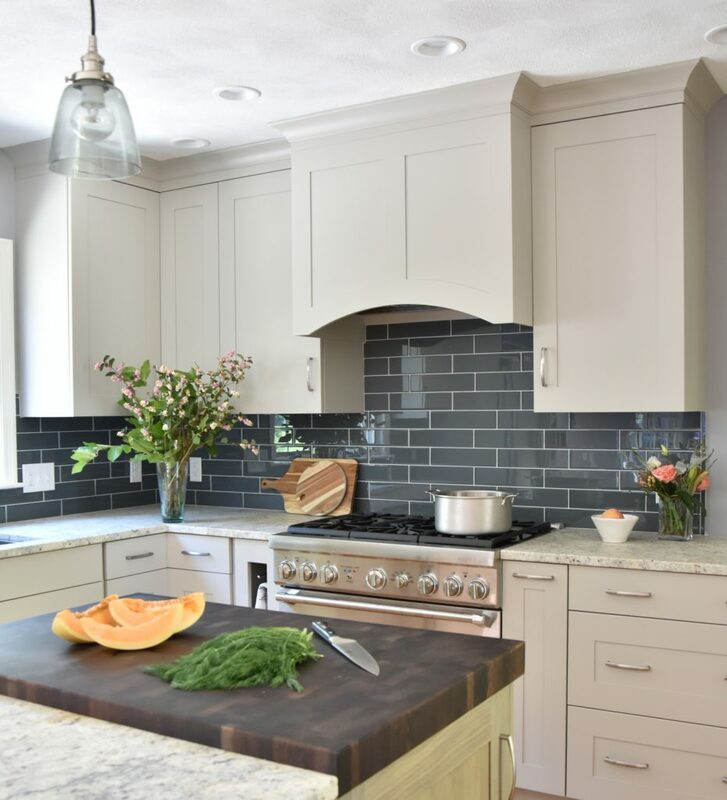 Butcher block countertops can be crafted to include a number of different patterns and inlays, as well as numerous features and options. 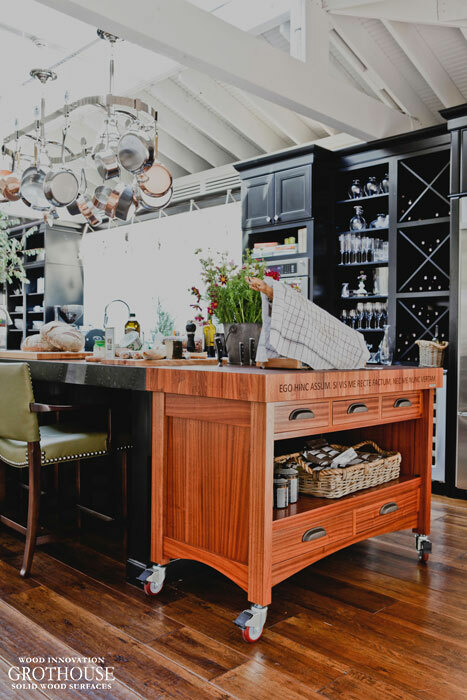 The most popular use for butcher blocks is kitchen islands. 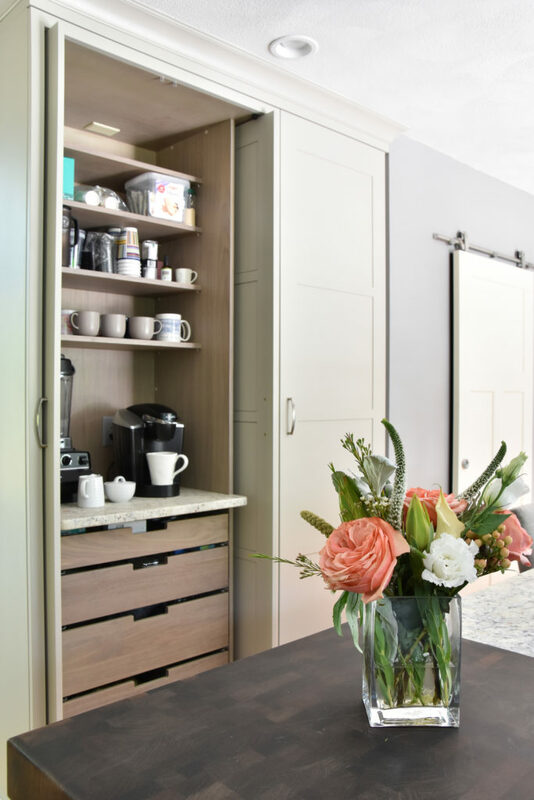 They provide a functional work surface and unlike stone slabs, can be made any size without unsightly seams. 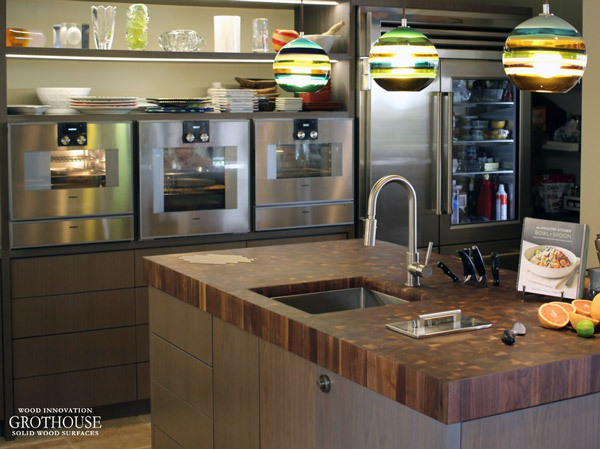 Sapele Mahogany Butcher Block designed by Plain & Fancy. 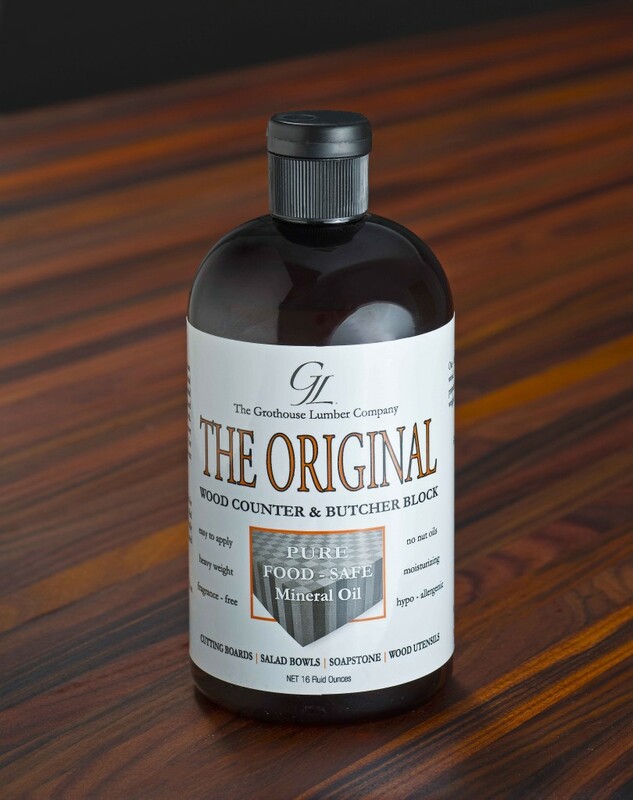 All Grothouse butcher blocks are finished with Grothouse Original Oil™. 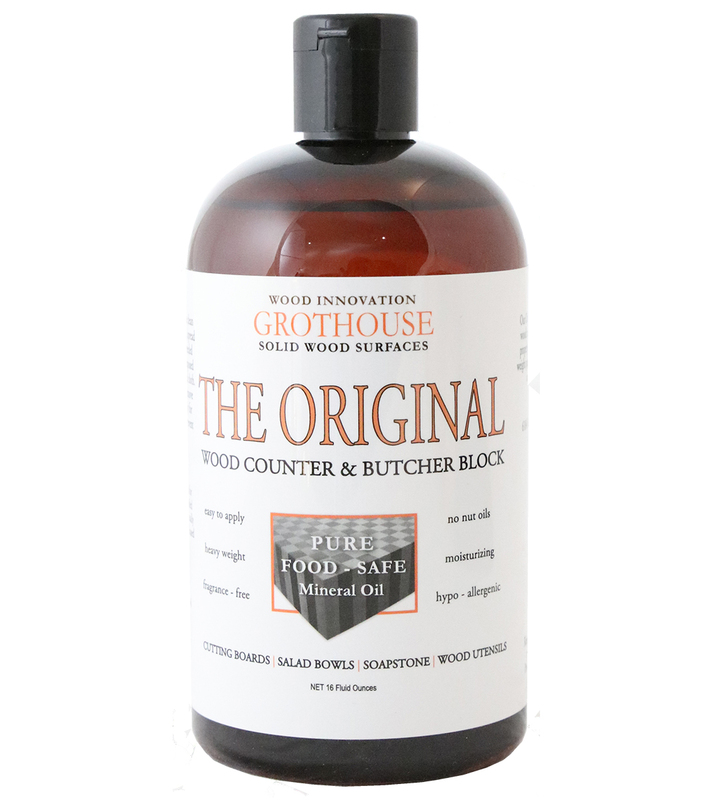 Grothouse Original Oil™ is a food safe oil finish. The finish requires ongoing maintenance depending on the environment and amount of use. 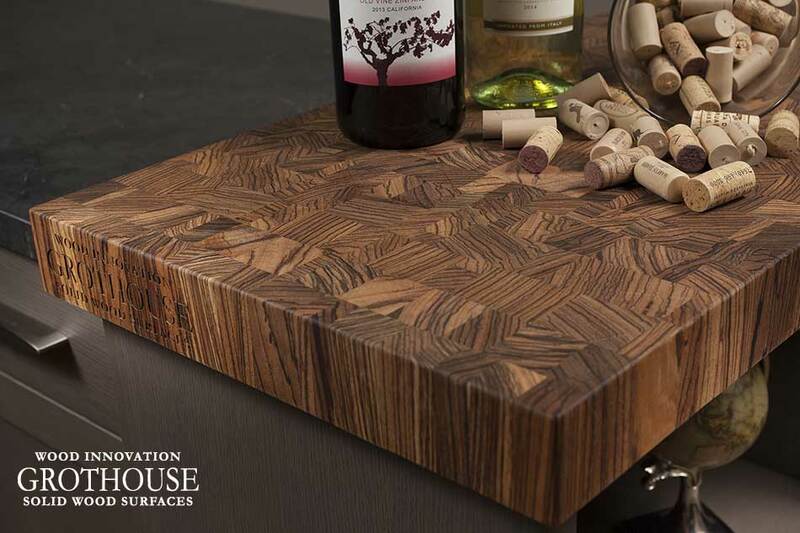 The major butcher block con is that end grain surfaces cannot be sealed with our Durata® Waterproof Permanent Finish. 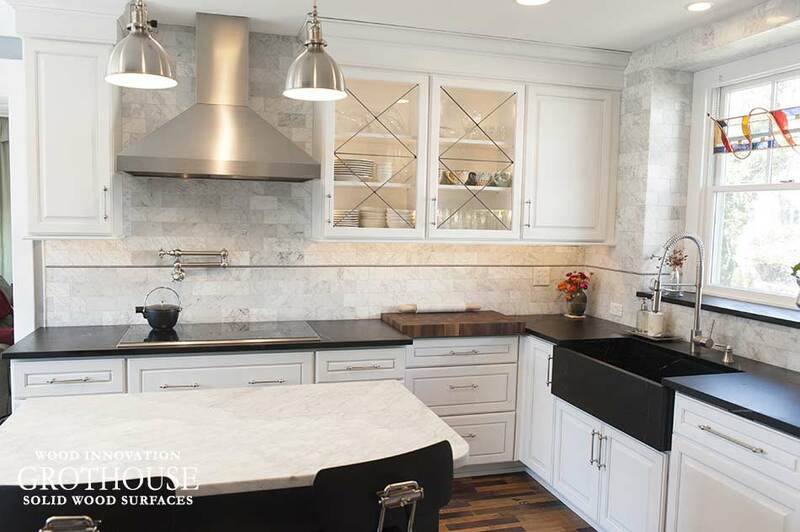 Only surfaces crafted in flat grain or edge grain construction can be finished with Durata®. 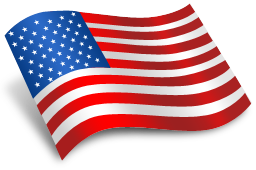 Durata® is a maintenance free finish. You can learn more about Durata® on our website. 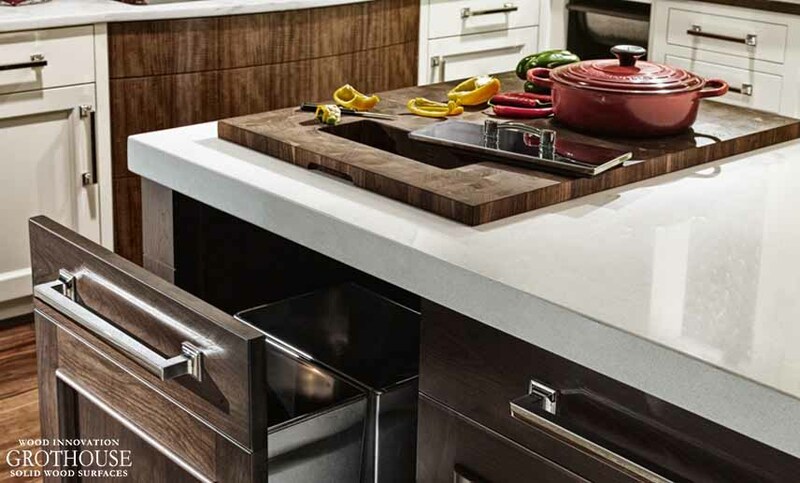 Because butcher blocks cannot be finished with Durata®, they cannot include a stain application. 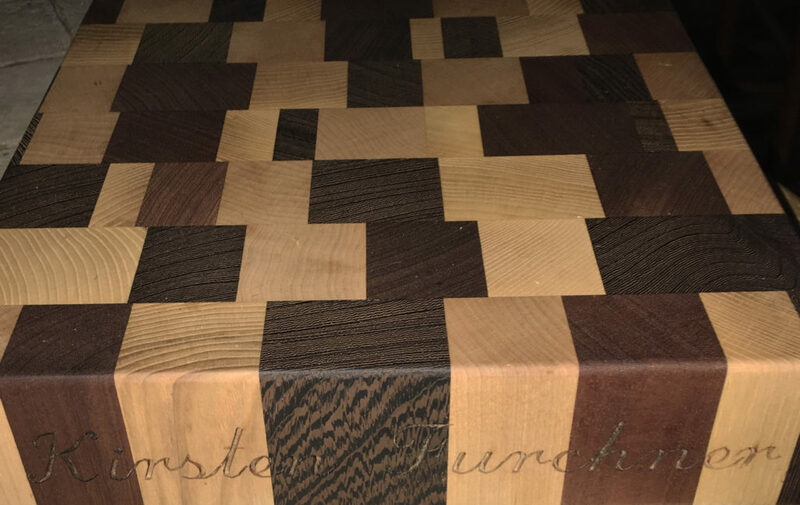 I just wanted to say thank you and share a few pics of the beautiful butcher block you created for us! We love it! 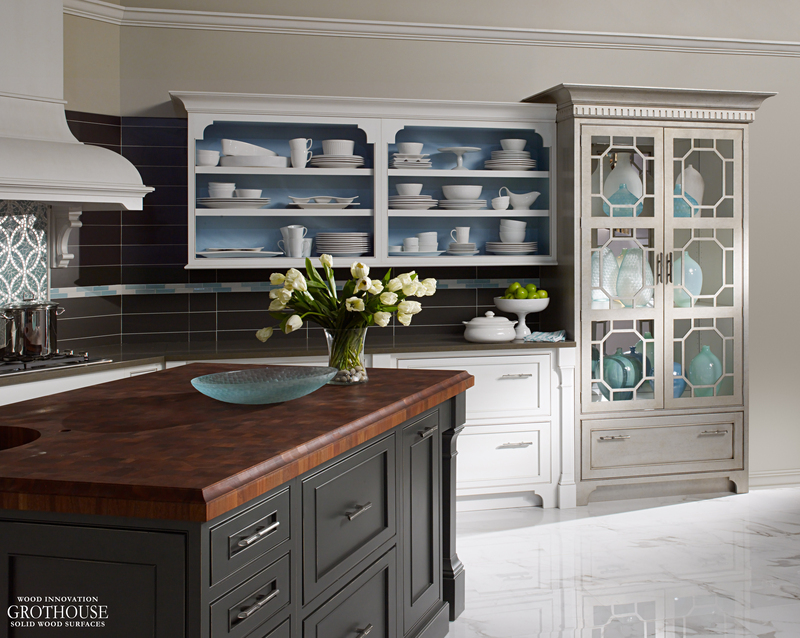 It was supposed to be all about the function but it has become a masterful design feature! I think it garners most of the compliments in our new kitchen! It was a pleasure working with your people from start to finish! 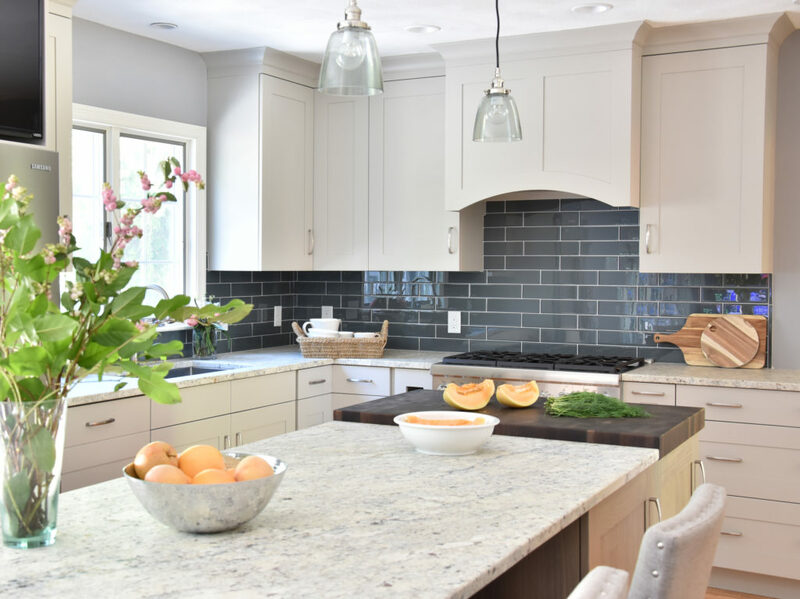 Although it’s been a little over a year since we did business with you, I just wanted to say thanks again for the incredible butcher block countertop you built for our new kitchen island. 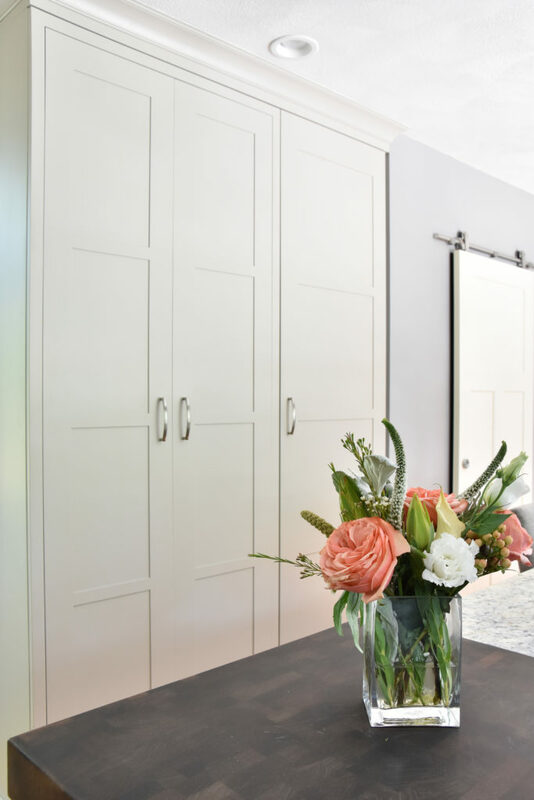 It is the perfect combination of beauty and function – we get lots of compliments from friends who visit. 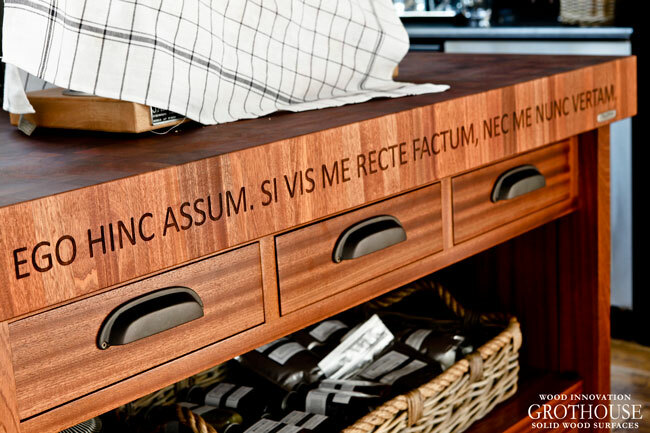 Read more butcher block customer reviews here. 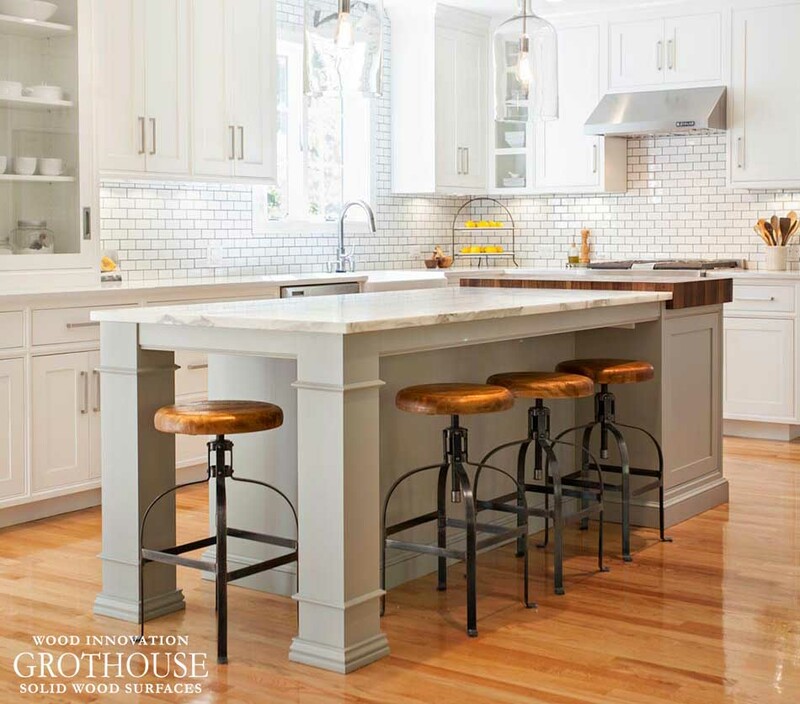 Visit our website for more information regarding butcher block pros and cons. 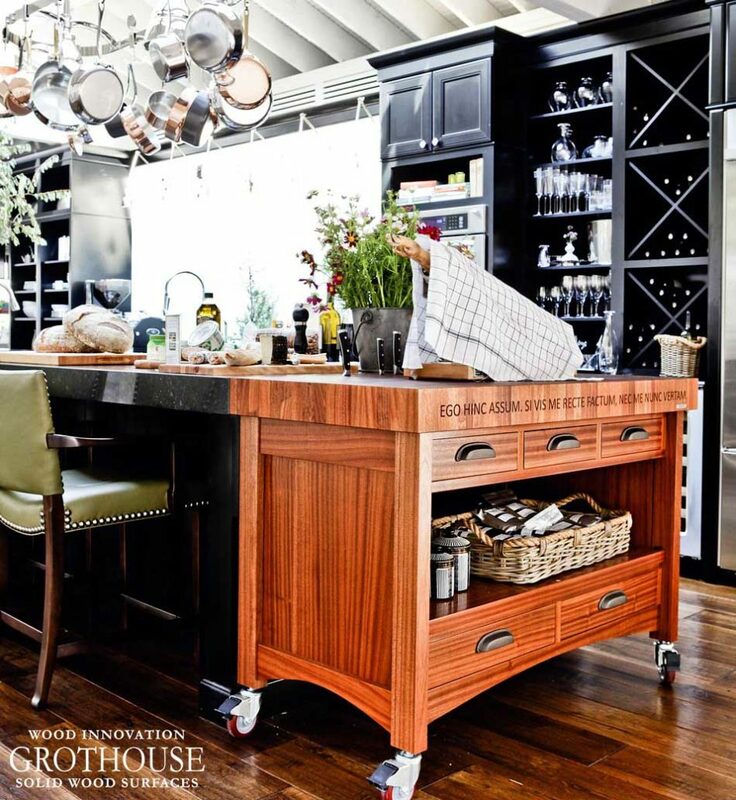 Visit our Pinterest to see inspiring designs including butcher blocks.